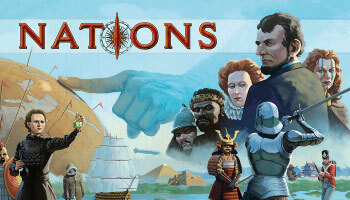 Nations is an intensely competitive historical board game for 1-5 players that takes 40 minutes per player to play. Players control the fate of nations from ancient times until the brink of World War I. The nations constantly compete against each other and must balance immediate needs, long-term growth, threats and opportunities. The game covers 4 historical ages of human history: Antiquity, Medieval, Renaissance and Industrial. Each age spans 2 game rounds of development, competition and production. Every round brings historical risks and opportunities that players need to compete to avoid or gain. 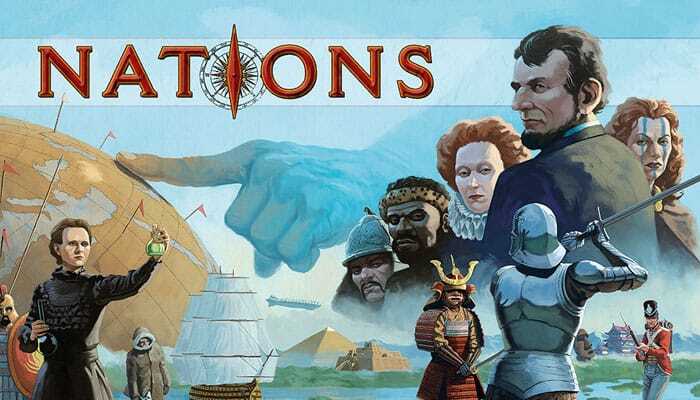 Military Strength is costly, but can help you avoid devastating Wars, conquer rich Colonies and gain tactical influence to act before the other nations in coming rounds. 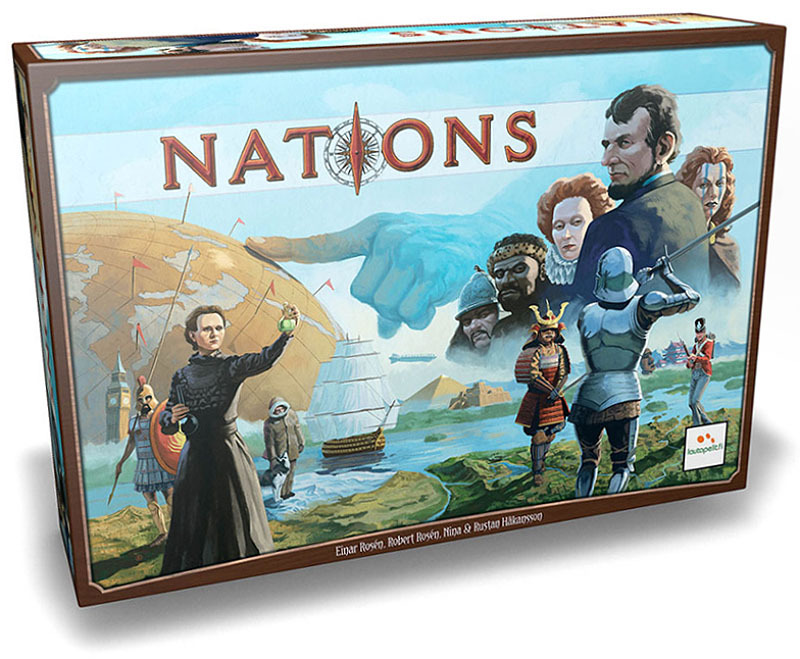 During the game, nations gain and lose Victory Points (VP). It is especially important to accumulate Books (re presenting the national heritage), as at the end of every age, nations gain VP for every other nation with fewer Books. At the end of the game the total VP for all the accomplishments of each nation is summed up, and the nation with the most VP is the greatest nation and the winner of the game. The advanced and expert cards add more interaction, variation and new concepts. After a few games with basic cards you can add the advanced cards, mixing them in with the basic cards. After a few more games you can add the expert cards. With 5 players you must play the Advanced and/or Expert game to have enough Progress Cards.